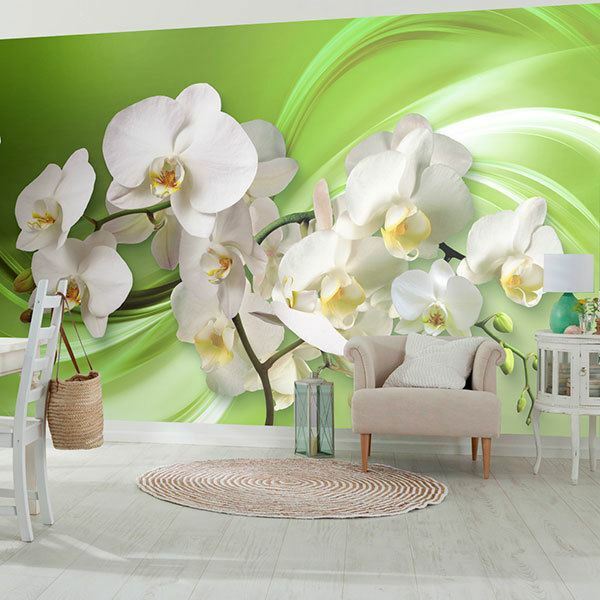 Wall mural Orchids on green. 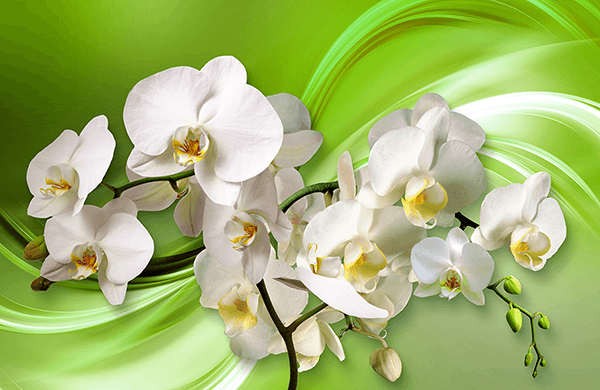 Assembly of a branch with several beautiful orchids on an abstract green background. 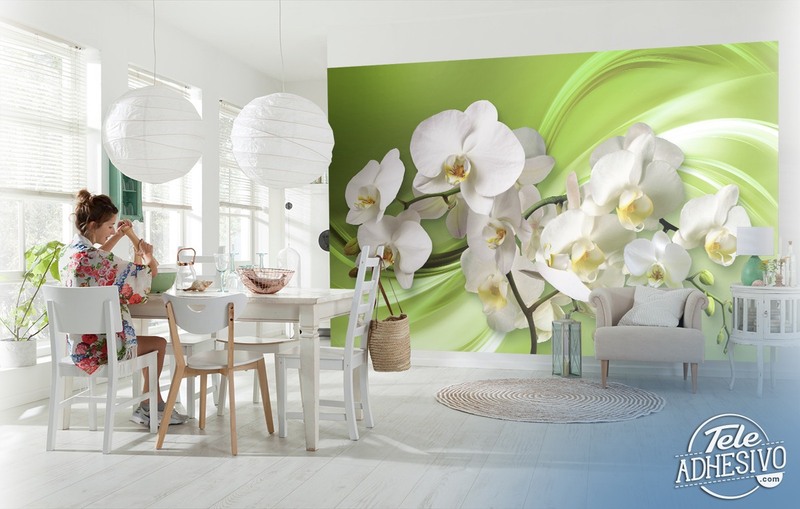 They are one of the oldest, numerous and varied botanical species in the world. They grow practically anywhere except Antarctica.